Professor Stehr received his PhD from the University of California at Berkeley. His primary research interests are in health economics, health behaviors and public policy. His research has attracted funding from the National Science Foundation and the National Institutes of Health. Stehr, Mark, Carrera, Mariana, Royer, Heather, Sydnor, Justin, and Taubinsky, Dmitry, The Limits of Simple Implementation Intentions: Evidence from a Field Experiment on Making Plans to Exercise. Journal of Health Economics 62 (Nov 2018): 95-104. Stehr, Mark, Carrera, Mariana, Royer, Heather, and Sydnor, Justin, Can Financial Incentives Help People Trying to Establish New Habits? Experimental Evidence with New Gym Members Journal: Journal of Health Economics. Journal of Health Economics 58 (Mar 2018): 202-214. Kern, David, Auchincloss, Amy, Stehr, Mark, Diez Roux, Ana, Moore, K, Pham-Kanter, Genevieve, and Robinson, Lucy, Neighborhood price of healthier food relative to unhealthy food and its association with type 2 diabetes and insulin resistance: The Multi-Ethnic Study of Atherosclerosis. Preventive Medicine 106 (Jan 2018): 122-129. Kern, David, Auchincloss, Amy, Robinson, Lucy, Stehr, Mark, and Pham-Kanter, Genevieve, Healthy and unhealthy food prices across neighborhoods and their association with neighborhood socioeconomic status and proportion black/Hispanic. Journal of Urban Health 94 (Aug 2017): 494-505. Mayne, Stephanie, Auchincloss, Amy, Stehr, Mark, Kern, David, Navas-Acien, N, Kaufman, J, Michael, Yvonne, and Diez Roux, Ana, Longitudinal Associations of Local Cigarette Prices and Smoking Bans with Smoking Behavior in the Multi-Ethnic Study of Atherosclerosis (MESA). Epidemiology 28 (Oct 2017): 863-871. Stehr, Mark, Royer, Heather, and Sydnor, Justin, Incentives, Commitments and Habit Formation in Exercise: Evidence from a Field Experiment with Workers at a Fortune-500 Company. American Economic Journal - Applied Economics 7 (Jul 2015): 1-35. Stehr, Mark, Intended and Unintended Consequences of Youth Bicycle Helmet Laws. Journal of Law and Economics 54 (May 2011): 305-324. Carpenter, Christopher, and Stehr, Mark, The Effects of Mandatory Seatbelt Laws on Seatbelt Use, Motor Vehicle Fatalities, and Crash-Related Injuries among Youths. Journal of Health Economics 27 (May 2008): 642-662. Stehr, Mark, The Effect of Sunday Sales Bans and Excise Taxes on Drinking and Cross Border Shopping for Alcoholic Beverages. National Tax Journal 60 (Mar 2007): 85-105. Stehr, Mark, The Effect of Cigarette Taxes on Smoking among Men and Women. Health Economics 16 (Dec 2007): 1333-1343. Prata, Ndola, Morris, Leo, Mazive, Elizio, Vahidnia, Farnaz, and Stehr, Mark, Relationship Between HIV Risk Perception and Condom Use: Evidence from a Population-Based Survey in Mozambique. International Family Planning Perspectives 32 (Dec 2006): 192-200. Stehr, Mark, Cigarette Tax Avoidance and Evasion. Journal of Health Economics 24 (Mar 2005): 277-297. A Field Experiment Incentivizing Exercise among Workers (Co-PI National Science Foundation) $264,000 Jul 2008. Commitment Contracts for Health-Behavior Change (NIH) $466,000 Apr 2012. Center for Integrative Approaches to Health Disparities - Revision to Support Environmental Health Disparities Research (P60) (NIH) $198,037 Mar 2012. Tobacco Policy and Control Initiative—Communities Putting Prevention to Work (CPPW) (Centers for Disease Control and Prevention) $27,491 Jun 2010. Trying to trick yourself into exercising more? Good luck. Associate Professor of Economics Mark Stehr’s recent research, covering exercise habits in relation to motivation, was recently highlighted in the Washington Post. 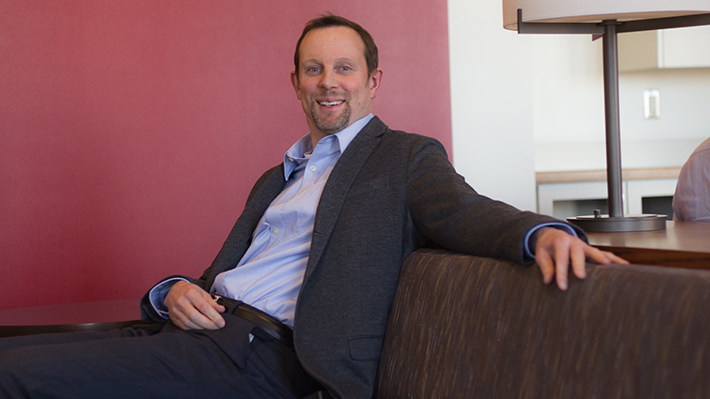 Associate professor of economics Mark Stehr discusses his research into the efficacy of employer exercise incentives on BYURadio’s Top of Mind with Julie Rose. The findings of Associate Professor of Economics Mark Stehr’s research into the results of a variety of exercise incentives are covered in the New York Post. Two LeBow professors explain why the popularity of the American retail phenomenon known as Black Friday may be waning.